Managing your weight never tasted so good! New weight loss gummies,Visit us at booth E24 at Vitafoods 2018. Softigel develops and manufactures soft gelatin (softgel) capsules, advanced drug delivery technologies, nutritional supplements, veterinary, cosmetic and pharmaceutical products. Softigel by Procaps is a leading provider of contract development and manufacturing services in softgel advanced technologies for the global pharmaceutical and nutraceutical industry. Through its extensive capabilities and deep expertise in product development and softgel manufacturing, the firm helps different companies bring innovative products to market faster, offering patients and consumers an exceptional experience, higher preference and superior adherence to different therapies. Softigel by Procaps has combined its advanced delivery technologies with proven formulation, manufacturing and regulatory expertise to become an integrated contract development and manufacturing organisation (iCDMO), giving customers full-service, turnkey solutions in prescription drugs, over-the-counter (OTC) and dietary supplements across both development and delivery. Softigel by Procaps focuses on difficult and challenging-to-manufacture drugs and is geared to detecting and materialising business opportunities in both generic and highly regulated markets, especially in niche segments where there is limited competition. The company’s differentiating strengths enable it to move into more difficult-to-produce compounds, formulations, dosage forms and non-traditional manufacturing processes where few competitors can follow. Softigel by Procaps is infused with a strong belief in the growing need for generic drugs, speciality pharma products and advanced delivery technologies. Working on developing opportunities with robust long-term partnerships from breakthrough technologies is its state of mind. The company is uniquely qualified to meet the market’s needs for superior quality given its vertical integration and cutting-edge research and development (R&D). Softigel by Procaps works with both large and small pharmaceutical companies that are seeking strategic, integrated partners that can offer advanced technologies and expertise, driving demand for integrated services from proof-of-concept to commercialisation. Softigel by Procaps’ cutting-edge softgel facilities house a fully integrated product development services (PDS) unit, which covers a wide range of product lifecycle phases from early development to commercialisation in the same plant. The company’s state-of-the-art facility uses equipment replication from lab-scale through to small-scale good manufacturing practice (GMP) batches and full-scale commercial GMP. Its R&D team offers customers access to formulation of simple or highly complex products, encapsulation in softgel dosage forms or other delivery systems, high or low potent active pharmaceutical ingredients (API), differentiated OTC products and nutritional supplements, traditional and unique delivery systems, and support and value during all stages. Softigel by Procaps has proven expertise in technology transfers, product launches, product development and manufacturing technologies, helping its customers overcome formulation challenges. The team works closely with customers to understand expectations and develop a regulatory strategy that guarantees the best quality, timely submissions and faster, more positive registration outcomes. The company also has experience preparing submissions in electronic clinical trial document (eCTD) format, and provides support during the application phase, including annual reports and other post approval submissions. A key factor in Softigel by Procaps’ market success is its R&D department, a team that is constantly working on the development of advanced formulas and innovative pharmaceutical technologies. Procaps develops more than 50 new pharmaceutical, nutritional, cosmetics and veterinary products every year, which are all based on global industry trends and needs. 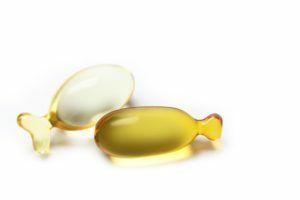 Softgels are an effective delivery system for oral drugs products, especially those with low solubility and/or permeability (BCS classes II,III and IV). Unigel™ (US Patent No. 8,967,989B2) is a first-to-market technology designed to combine multiple active pharmaceutical ingredient (API) formulations in one single soft gelatin capsule, offering multi-phase therapies, improving bioavailability, reducing manufacturing costs, and achieving superior adherence to different therapies. Chewgels™ is softigel's latest technology in chewable soft capsules, that offers not only taste and flavour, but a convenient and an easy-to-swallow dosage form. Chewgels™ is softigel's latest technology in chewable soft capsules, that offers not only taste and flavour, but a convenient and an easy-to-swallow dosage form. 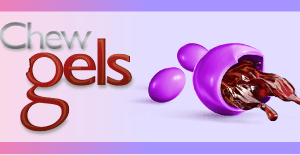 With a variety of shell textures and flavoured fills, Chewgels™ offers great-tasting formulations for a wide range of therapeutic lines for the global healthcare and nutritional supplement industry. 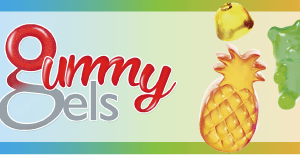 Gummygels technology offers consumers a new way of taking supplements. 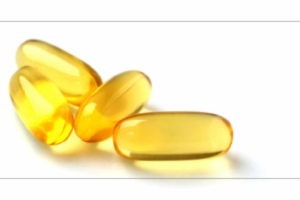 Softigel's technological platform Versagel refers to the differentiated applications of the technology that offers a versatile option for the encapsulation of highly viscous, semisolid or high-pH fill contents. 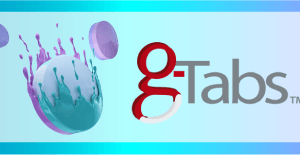 G-tabsTM is a patent-pending technology for tablets coated with one or two-toned colour gelatin, printed or not printed, widely used to eliminate unpleasant odours and/or tastes, improve ease of swallowing, prevent counterfeiting; and much more. Softigel's soft capsules with a twist-off cap allows access to a measured dose for topical and/or oral applications. Softigel is dedicated to the research, development and manufacture of different Omega-3 extracts from fish oils from the Pacific Ocean. Softigel is dedicated to hormone speciality pharmaceuticals that are produced under the highest standards and very controlled specifications. Softigel is dedicated to hormone speciality pharmaceuticals that are produced under the highest standards and very controlled specifications. 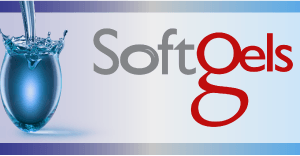 Softigel offers products for diverse hormone therapies in traditional softgels, tablets and G-tabs™. As well as softgel capsules, Softigel manufactures other pharmaceutical forms, such as injectables, syrups, suspensions, creams, drops and emulsions. 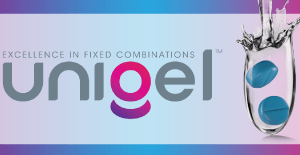 Unigel™ is one of the only products available for fixed-dose combinations. It incorporates the benefits of the soft gelatin capsule dosage form and takes it to the next level. 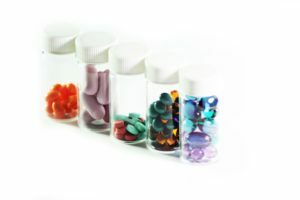 This article is aimed to offer a general review of the fixed-dose combinations (FDC) and manufacturing technologies, highlighting their applications, benefits and setbacks. Softigel by Procaps Offers Customers Turnkey Solutions in Prescription Drugs, over-the-counter (OTC) products and dietary supplements thansk to its softgel development and manufacturing expertise. Chewgels is Softigel's new technology in chewable soft capsules. It offers taste and flavour, as well as a convenient and easy-to-swallow dosage form. This study is aimed to present an experimental design for developing the gelatin and the coating formulation of a pharmaceutical soft gelatin capsule under the Quality by Design (QbD) framework. Gelatin is a purified protein obtained from collagen of skin, bones and connective tissues of animals such as cattle, pigs and fish. 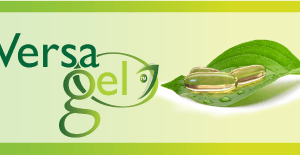 Procaps is one of Latin America's largest softgel producer with facilities in Brazil, Colombia and Venezuela. Its exports reach more than 38 countries worldwide. 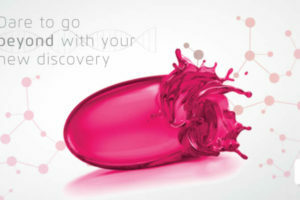 Innovation that leads to transformation: Join us during CPhI and live the Softigel experience! FDA successfully completed a 5-Day inspection of PROCAPS sites in Barranquilla with no Form 483 issued! Watch Softigel’s latest video on its current campaign.